Revitalise your senses with fresh air and open spaces. Woodside holiday cottages are situated in the heart of South East Cornwall. 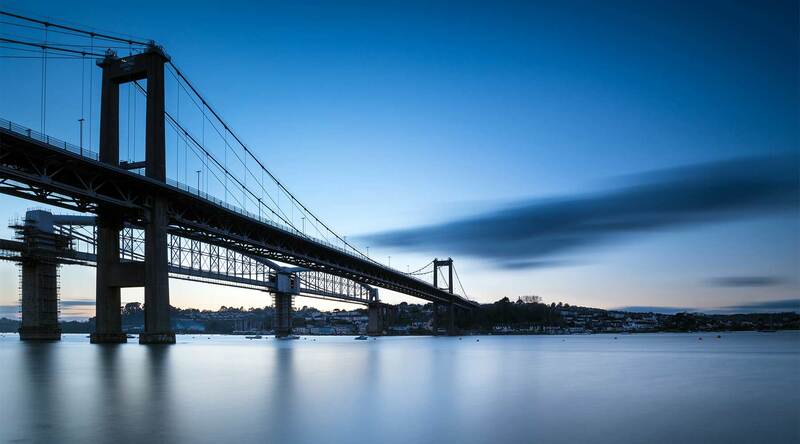 Located near the estuary town of Saltash, home of the imposing Tamar Bridge. 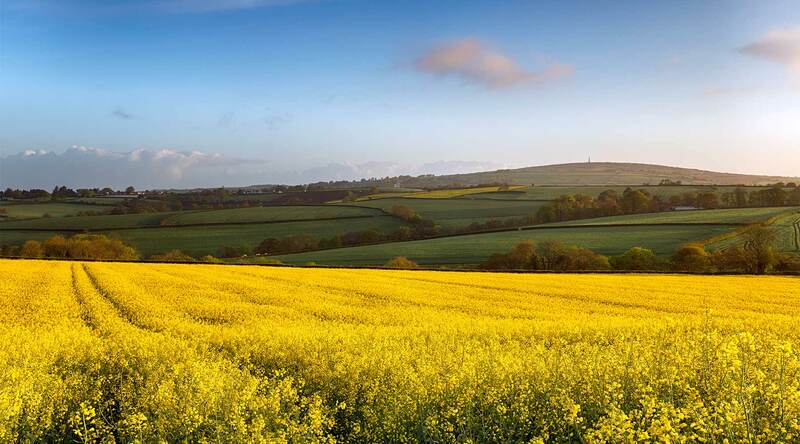 Woodside offers a rural location just minutes away from the A38 and the gateway to the Cornish county including miles of coastal paths, cycle routes, sandy beaches and open moors! 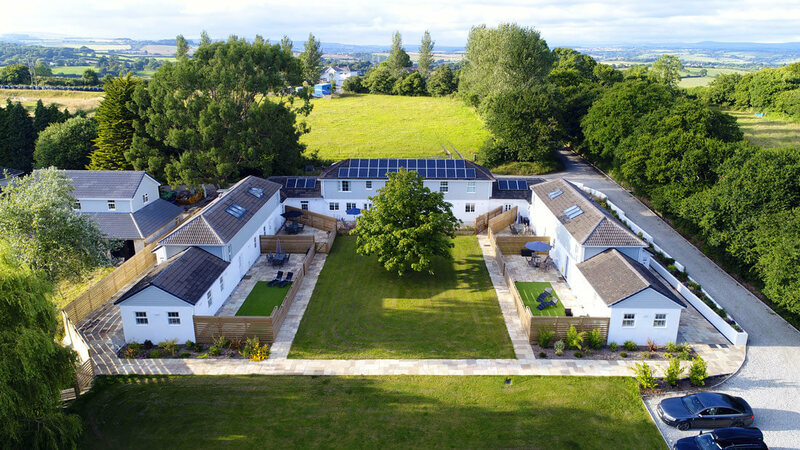 Set in 27 acres of prime Cornish countryside, Woodside holiday cottages all have private, enclosed garden areas set around large communal grounds for everyone to enjoy. 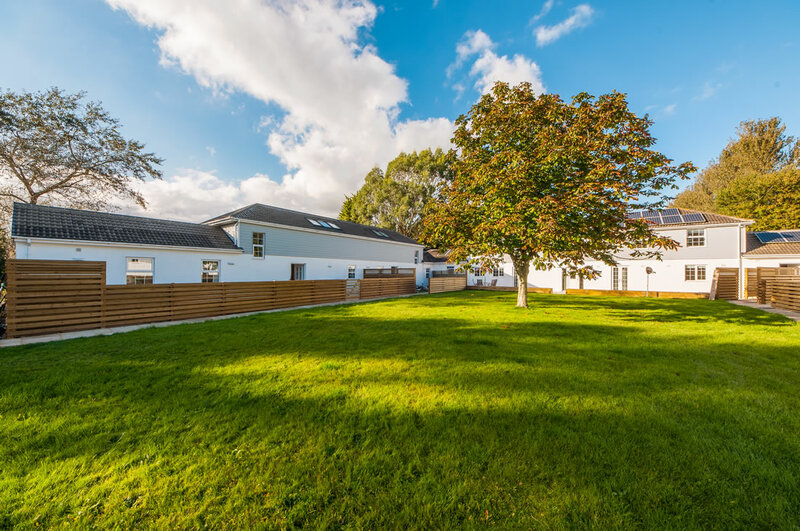 The outdoor space includes a large lawn area, play area and access to a woodland walk and field. 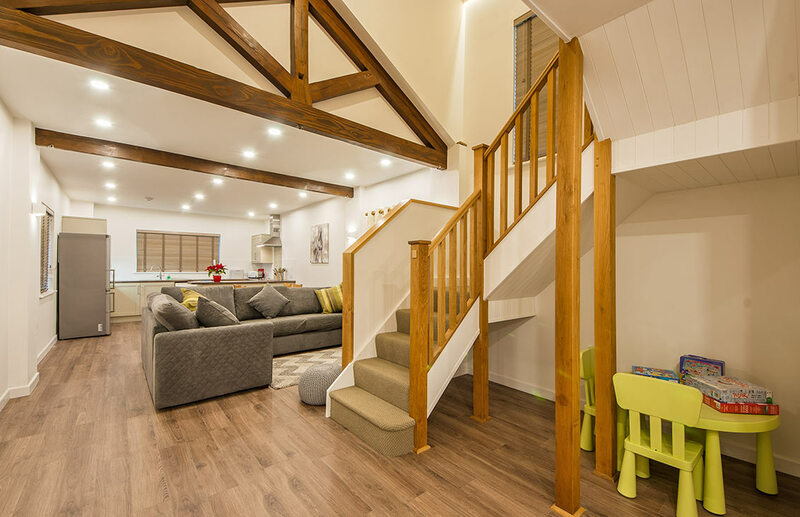 Woodside has been designed to suit all visiting guests from families, couples, children, grandparents and of course you can bring your dog too! There are four cottages in the complex, Chestnut, Willow, Beech and Fir. 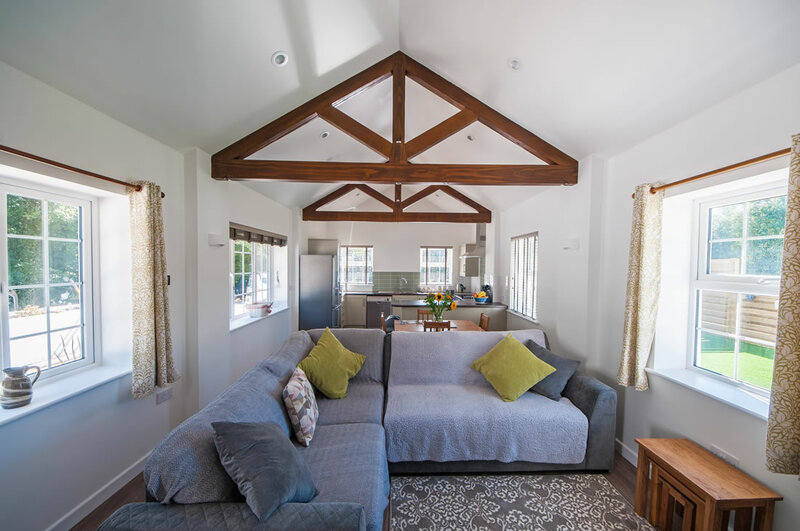 Each cottage has 2 bedrooms and can be configured to suit your needs. 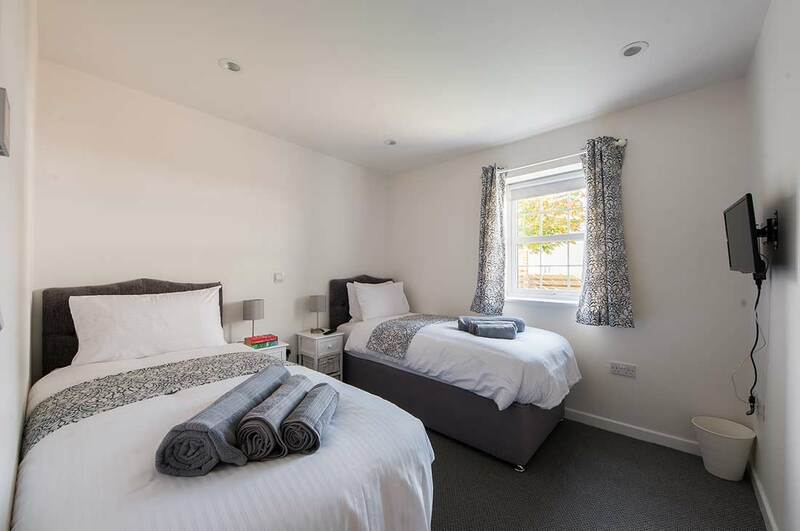 If your group is too large for one cottage then please enquire about the availability of another property combination, or all four, with a maximum capacity of 16 (or 24 if utilising sofabeds) + cots for infants. 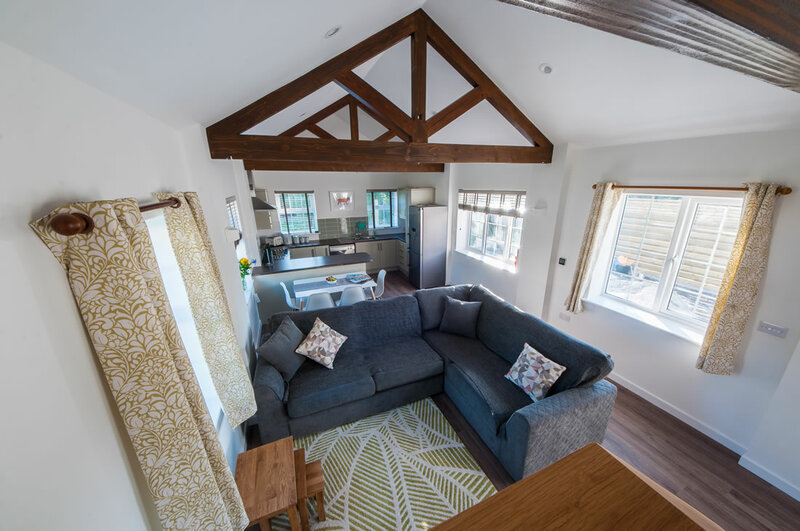 The cottages have been finished to the highest standard including walk in showers, spacious living area, superking, king and single sized beds, luxury bed linen and towels. We have installed a High Speed Dedicated Fibre Leased Line, the fastest broadband available in the region, ensuring that you can run multiple devices, live stream and watch uninterrupted programmes or movies of your choice. 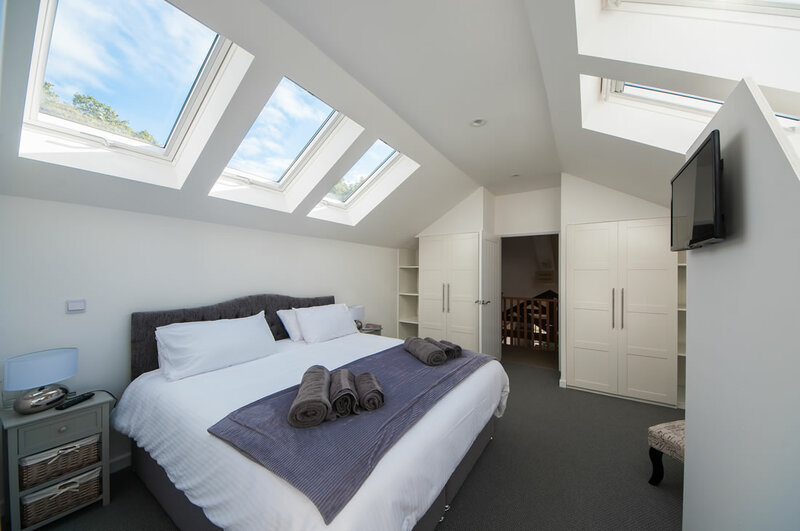 The TVs all have SMART technology and are installed in both bedrooms and the living area. You are able to access your Netflix, Amazon Prime or other subscription account you may hold. 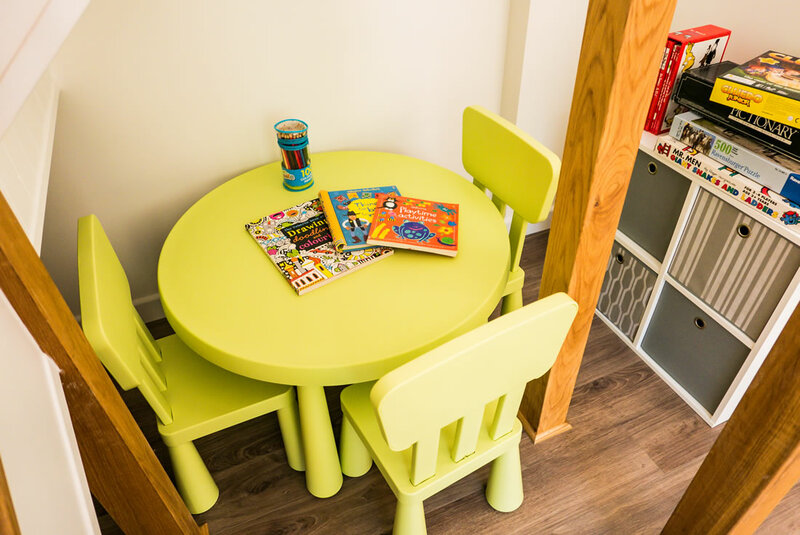 The kitchens are fully equipped with all modern appliances and accessories. Spacious cupboards and large worktops create the perfect environment for cooking up a culinary masterpiece! However, should you wish to dine out there are many local pubs, restaurants and cafes to be explored and enjoyed! 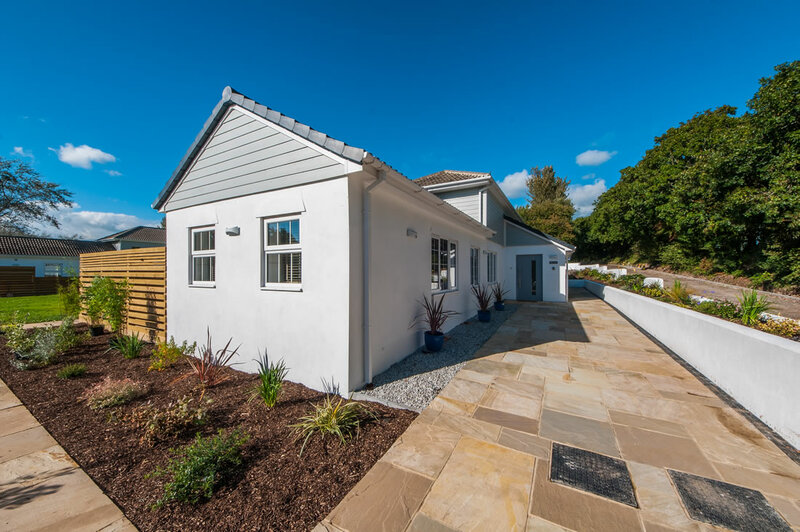 We appreciate washing clothes is not a holiday activity, however, each cottage is fitted with a washing machine and tumble dryer for after those muddy walks or beach days. Each garden includes a wash down area and hose for muddy dogs, children, boots, wetsuits or golf clubs. We even provide dog towels for drying off! 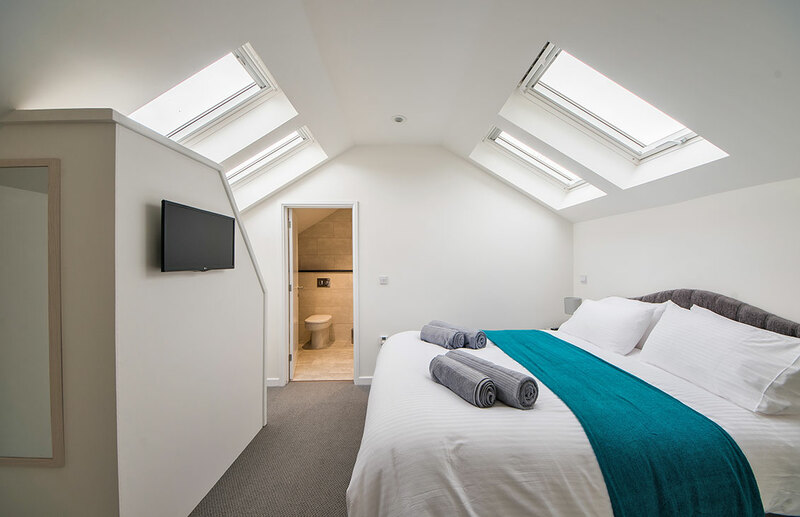 “I stayed in the Beeches cottage while on a business trip in the area. 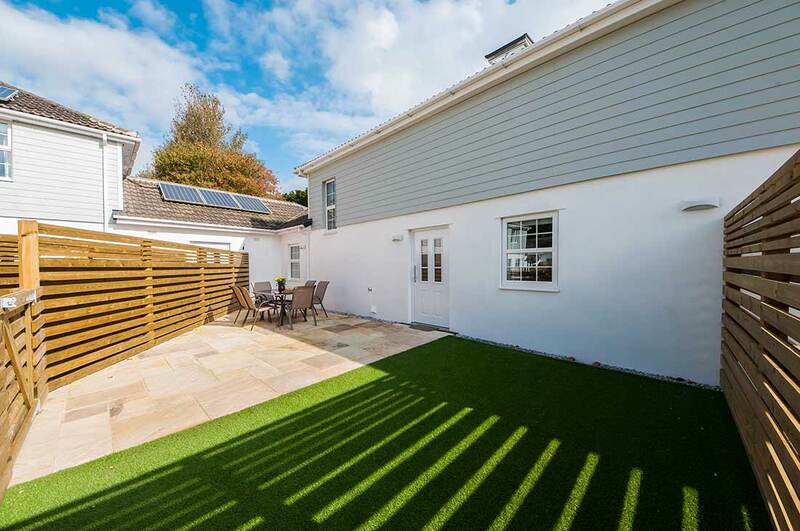 The cottage is beautiful, with tasteful decoration throughout which is to a very high standard. 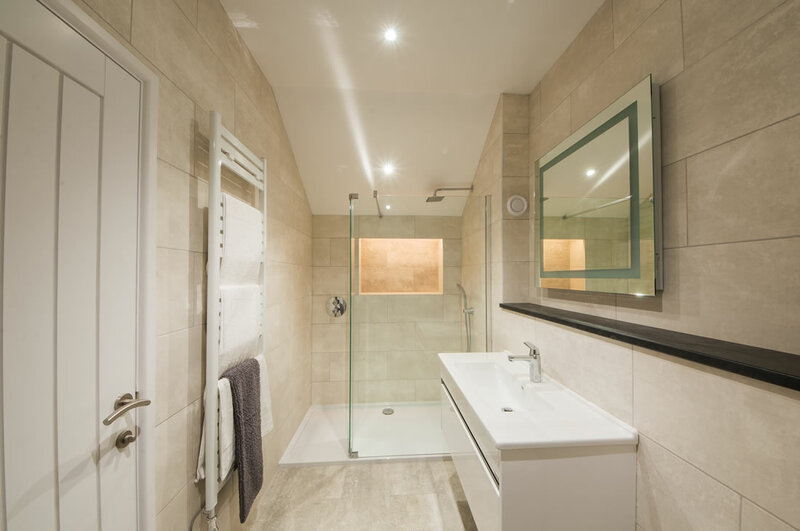 It is very spacious, warm and inviting with a lovely ‘homely’ feel, which is perfect when working away from home. 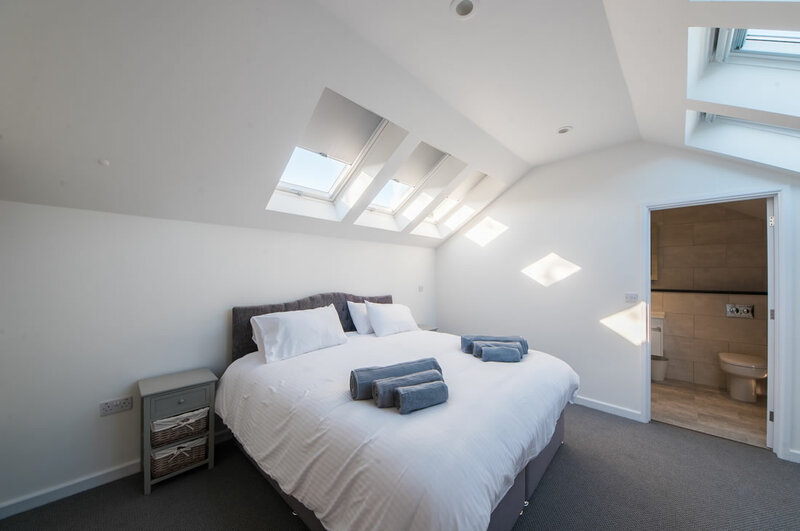 And the beds – so so comfy! Such a rarity to find such comfortable beds in any rented accommodation! The hosts were very welcoming and provided everything I would need for my stay – I wouldn’t hesitate to stay again for work or pleasure”. “On arrival Claire one of the owners was there to greet us and show us all we needed to know about the property. She made us feel extremely comfortable and also provided bed and treats for the dog as well as complimentary goodies for us humans. Could not wish for a better place to stay, all you need in the property and good quality fittings. Will definitely recommend to friends and will be returning ourselves very soon”. 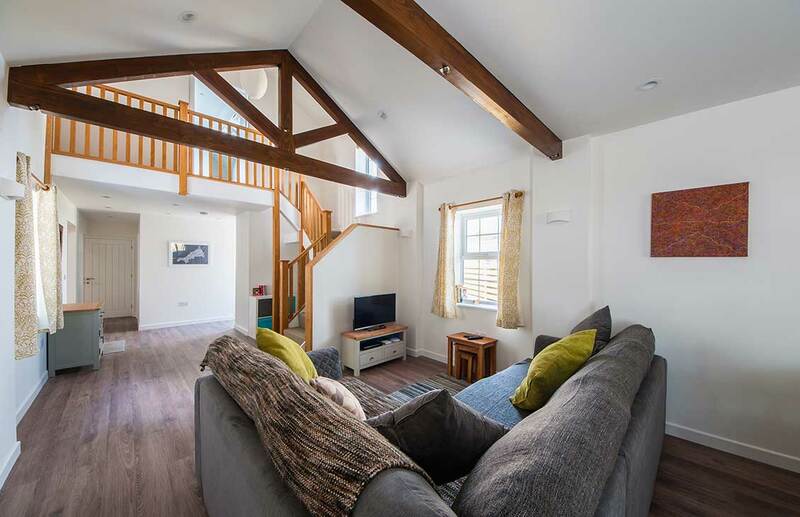 “Great holiday cottage, perfect for the 4 of us and the dog. Loved the location, lots to do and also close to amenities”. “We have loved our time here – a perfect place to relax. A home-from-home. Well equipped, warm and cosy. Claire has been wonderful, welcoming, friendly and attentive. Look forward to returning again soon”. “Spent a lovely Christmas week in this well equipped cottage. Owners really friendly and everything we needed was supplied. Will certainly recommend”. 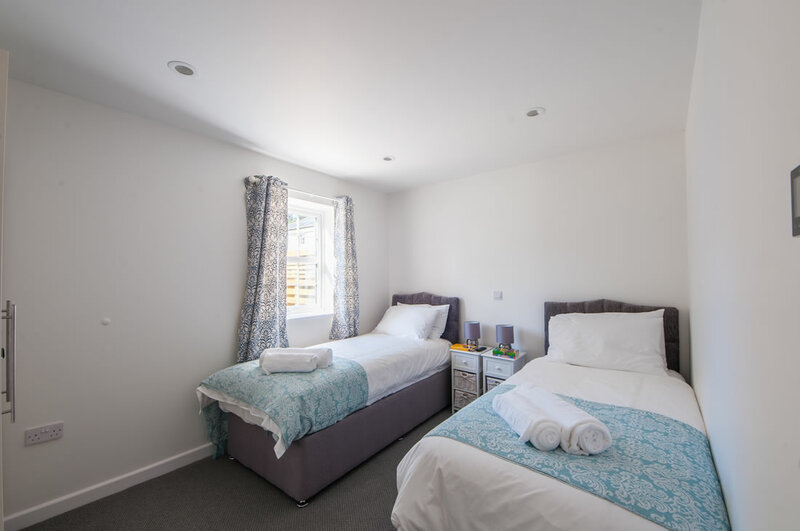 “An enjoyable New Year spent in a very comfortable and cosy accommodation. Would highly recommend and will definitely revisit again. Very thoughtful for dogs”. “Our second visit to Woodside to catch up with family. Accommodation is first class and we feel really at home. Enjoyed trips out to Rame Head and Burrator. Great walk around the reservoir”. “I only stayed for a couple of days but this is beautiful accommodation”. “We have loved our stay at Woodside. 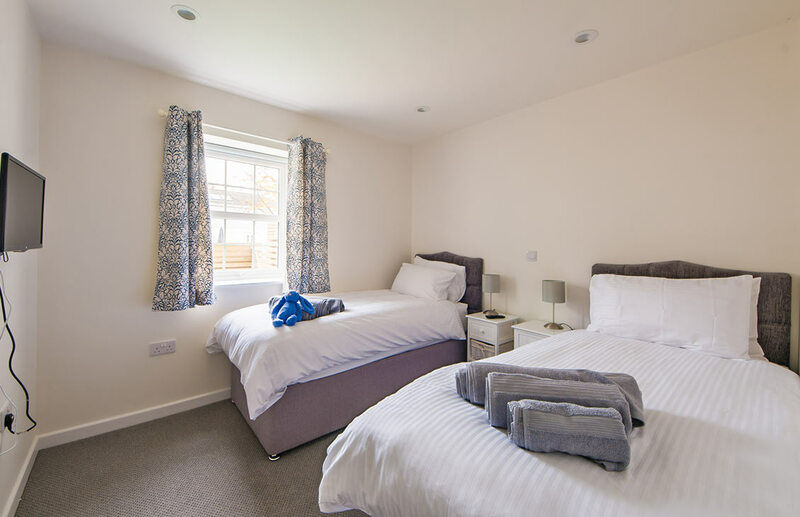 The standard of the facilities in Beech Cottage are great and we really appreciated the extra touches including wine, food items and treats for our dog. A good base for touring the area. 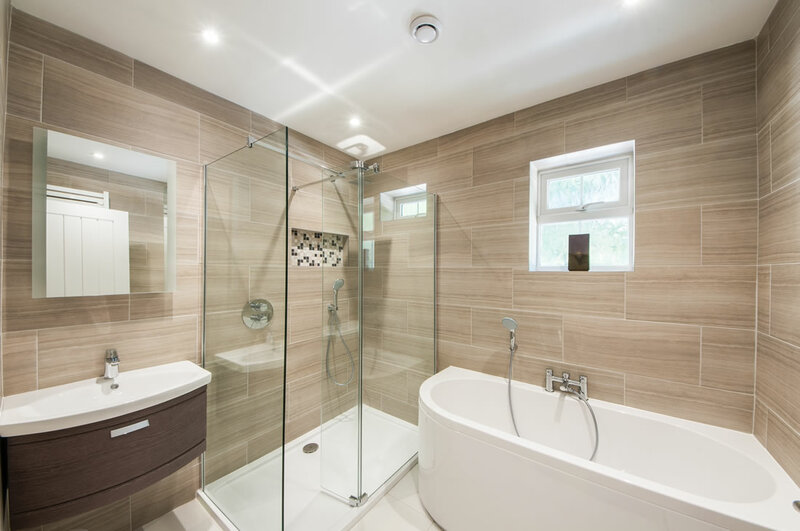 We are happy to recommend Woodside to friends and family”. 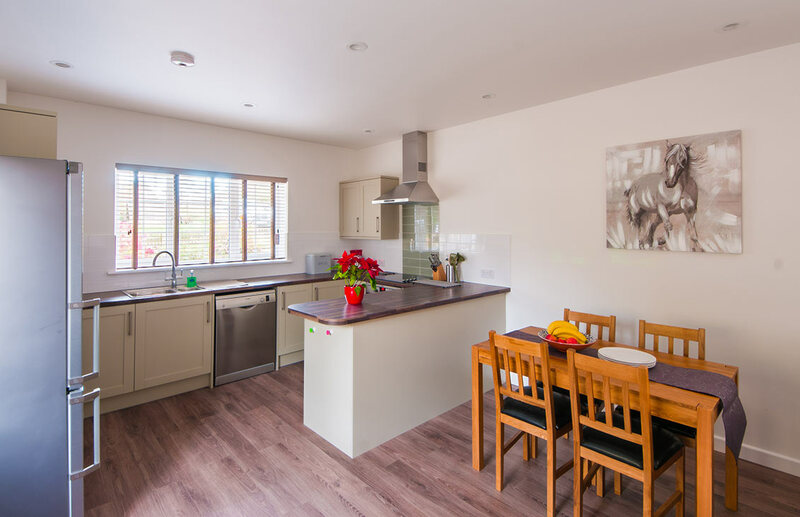 “Lovely well equipped cottage, plenty of room for all of us to chill out. Top Notch! We loved it here. Hope to return soon”. 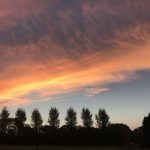 “Really enjoyed our stay at Woodside, the cottage is well equipped and the added extras are a bonus (toys and books for the boys) also milk and butter in the fridge on arrival. I would definitely recommend Woodside to friends and family and also return myself. We’ve loved it. The boys loved the family dogs”. “Had a lovely weekend. Absolutely stunning accommodation and all the little extras you get is really nice, wine, milk, dog treats etc Love the relaxed atmosphere and really felt like dogs were welcome. Thank you for dog sitting on Saturday. We hope to be regular visitors”. “Our 3rd stay at Woodside, as always the accommodation is first class and is a real home from home”. “One word sums up Woodside – ‘FANTASTIC’! – A great place to stay very well equipped, very well laid out. 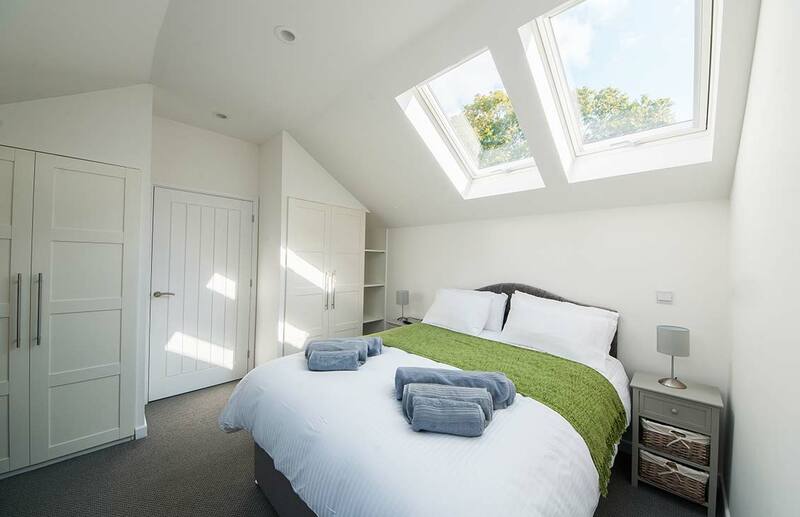 Offering a relaxed stay for both dogs and their owners. I would recommend the Churchtown Farm walk starting and finishing at the Cecil Arms pub with a good drink & great food. Thank you for a great week’s stay.”. “What can one say other than ‘fantastic‘. This is my first time in Cornwall and what a base to explore. As we came down a party of four adults and one baby (1 year old), nothing was too much trouble for Claire or Andrew ensuring that the little one had toys to play with and a high chair for her. Thank you so much Claire, your kindness and attention to detail made our holiday not one to forget. We shall certainly return in the future”. “Fantastic Beech Cottage. This is a 5* plus accommodation. The best we have stayed in over the last 10 years. 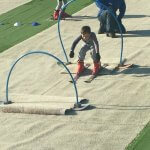 Very well equipped facilities. We would love to come again. Thank you Claire & Andrew for a great holiday. Local food excellent and great fishing from Plymouth – glad you enjoyed the Mackerel”! “First time to Cornwall and it’s been fantastic. Left me wanting more. Claire – Thank you for the toys for my girl. It’s made her holiday. Thanks so much for the memories”. “Accommodation is fantastic. Excellent holiday, weather was brill, thank you for catering for my 2 dogs. Found the beach at Seaton excellent for the dogs and us. Would recommend and will be back”. “We have had a wonderful week in Cornwall (well needed)! The cottage is beautiful, with everything you could possibly need and very clean. Will be recommending it to friends and family. Thank you for a lovely stay”. 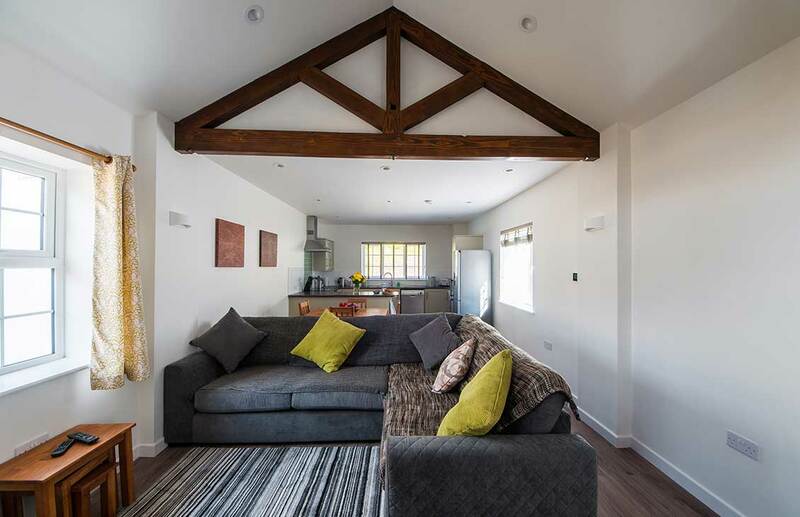 “Absolutely stunning location and one of the best holiday homes we have stayed in. You really have thought of everything. We really appreciated the bottle of wine and milk left for us. It was a really nice welcome. Our 2 buoys have loved it here. They have enjoyed playing in the playground, the toy car and generally running around in the fabulous green space. Thank you for a really wonderful stay”. 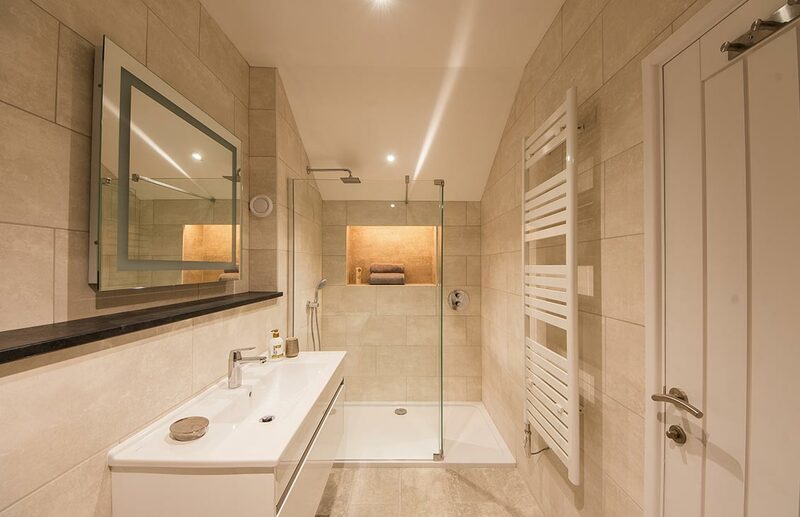 “Beautiful accommodation, so well equipped with everything you need for a week away. There was even all the stuff needed for a 11 month old He had the best time here. Will definitely recommend and would come back again. Loved our time here”. “We have had the nicest stay I your lovely holiday let it is very peaceful here. You have a lovely place and I know I would live to come back”. “My 12 year old son and I had a really lovely, relaxing 2 weeks here. We have been on lots of dog walks, baked cakes, watched lots of great films and enjoyed our luxury surroundings. Thank you for a great memorable holiday”. “Thank you for a very comfortable stay and for accommodation our large family over the last two weeks. You have a lovely place here and we are so glad we bumped into Granny Sue on the Arcadia! Thank you and hope to return soon”. “We had a wonderful time staying here. Great location with easy access to everywhere we wanted to go. Enjoyed some lovely walks in both Devon & Cornwall and was lovely to come back to an extremely well furnished and cosy cottage at the end of the day. Have already recommended this place to friends and would love to come back here again. Thank you”. “Thank you so much for a lovely week in beautiful Cornwall. The cottage is amazing and we will definitely be back”. “Wonderful half term holiday for us in your lovely warm cottage. Fantastic base to explore the Rame Peninsula – we all fell in love with Whitsand Bay – absolutely beautiful and well worth the steps down (and back up!!) We had all sorts of weather even seeing a very small amount of snow! Lots of rainbows and a fair amount of sun. Thank you for being so accommodation for our dogs and boys. The boys have loved the toys”. We are very dog-friendly at Woodside we even provide dog towels, dog beds and bowls! There is hose in each enclosed garden to shower off your pooch after muddy or beach walks. All we ask for is consideration towards your fellow holiday residents. Please keep your dog on a lead in the courtyard and grounds, we have a lovely woodland walk leading to a field for you to exercise your dog(s) and do his/her business. 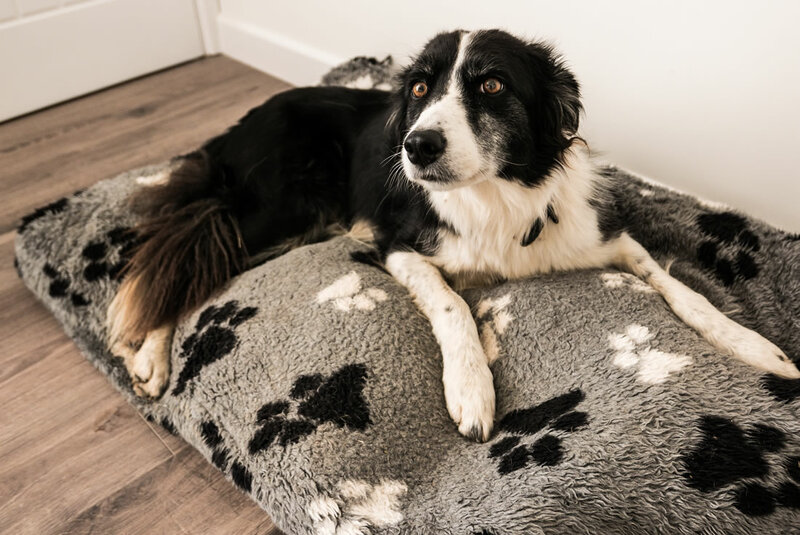 If you are going out without your dog please ensure they are left somewhere they are comfortable and happy, alternatively just ask and we are happy to provide dog sitting services.